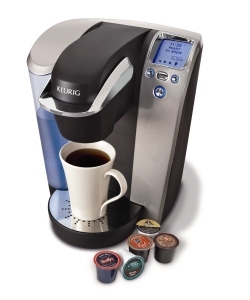 Forget your daily morning coffee run, all you need is the Keurig Platinum B70 Gourmet Brewer. It delivers an unbelievable cup of coffee in a New York minute, actually less! Simply put in your choice of K-Cups, which are little brewers equipped with a filter and ground beans, then press the button. In 30-40 seconds, your cup is all done. Just add cream and sugar and you’re ready to go. Not only is the Platinum B70 fast, it’s easy to clean and you don’t have to worry about waking any house guests, thanks to its quiet brew technology. If you prefer rising to the smell of coffee instead of the piercing sound of an alarm clock, the Platinum B70 also has a pre-set option for timed brewing. For non-coffee lovers, the Platinum B70 also has hot cocoa K-Cups and herbal tea. 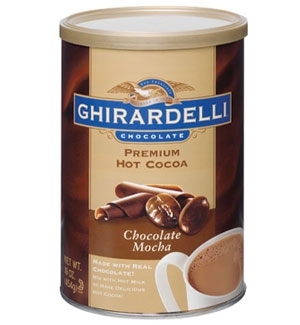 With over 100 gourmet varieties in coffee, teas and hot cocoa that includes such brands as Ghirardelli, Tully’s, Coffee People, Newman’s Own and Celestial Seasonings, how could you go wrong! The Platinum B70 retails at $199.95 and is sold in Bloomingdale’s, Sharper Image, and Bed, Bath & Beyond stores or simply log onto www.keurig.com. Final Recommendation: Worth every penny.